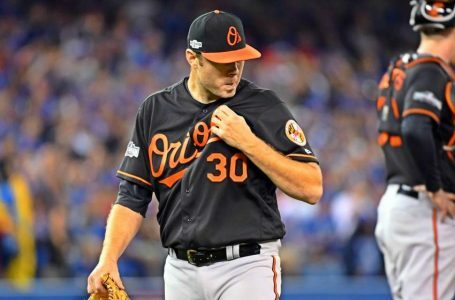 Now that Nik Turley was mercifully returned to the minors by the Twins, Chris Tillman is back in the running for worst starting pitcher in the American League. Tillman has the highest ERA in the AL among starters at 8.39 in nine starts. Tillman has been very consistent his past five games – giving up at least five runs in each of those starts. Tillman has walked 22 and yielded nine homers in fewer than 40 innings. The Rays rank ninth in runs scored and have hit the second-most homers in baseball. Tampa starter Jake Odorizzi has a 5.15 lifetime ERA versus Baltimore in 14 appearances, including 13 starts. The Orioles rank seventh in homers. Odorizzi has surrendered at least one home run in his last 10 appearances. A Rays pitcher hasn’t had such a dubious streak since James Shields 12 years ago. Neither bullpen is very good with the Orioles missing their injured closer, Zack Britton. The over has cashed in 10 of Tampa’s last 11 home games. Note, too, that Clint Fagen is slated to be the home plate umpire. The over has cashed 60 percent of the time he’s been the home plate umpire during the past three years, a sampling of 72 games.